It seems forever the standard in horse fencing has primarily been wood or vinyl enhanced with electric wire or cable. Both have been modified in ways to improve quality and durability but for the most part, either type of fence requires a significant amount of upkeep and maintenance for appearance and effectiveness. And most horse owners are tired of the time and expense required to maintain fencing. Buckley Fence has designed the ideal fencing solutions. Consider how easy it will be to impress your customer with the Buckley Steel Board Fence – the only “board” post and rail fence made of galvanized steel finished with an architectural grade (AAMA 2604) powder coating. The paint adhesion is outstanding, the corrosion and fading resistance superior. The nearly 10 foot long fence sections and textured black finish are exquisite. If pipe is the preferred style, wow your customer with the Buckley Alumashield Fence, the only pipe fence made of aluminum alloy tubing reinforced with a steel tubing core tightly sealed in at each end. The Alumashield connectors are aluminum alloy with a single set screw that securely fastens the rails to the posts. It has the same high grade powder coat finish as the Steel Board Fence and is completely corrosion resistant. 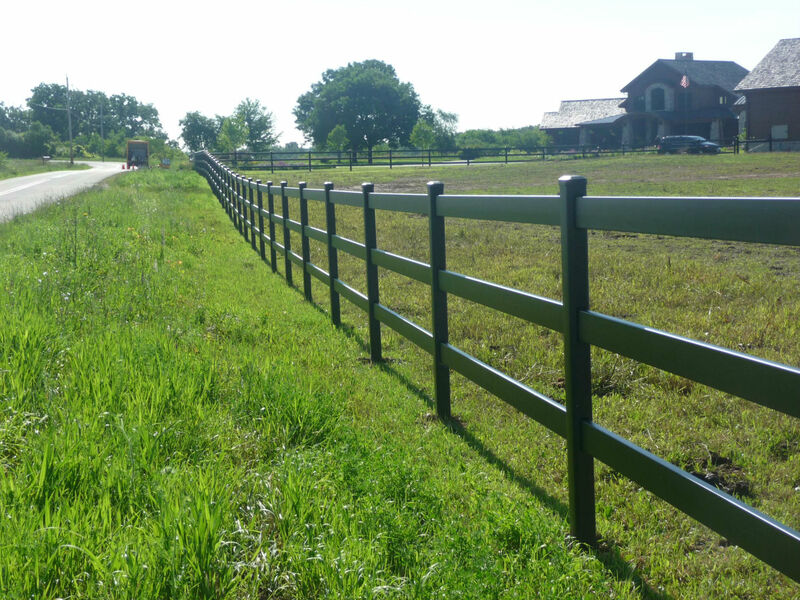 With the Steel Board or Alumashield Fence, there is no more painting, no more broken, warped or sagging rails, no more posts out of alignment, and no more horses breaking free or getting injured. While every other fence company claims their fence is safe, maintenance free and easy to install, we have mastered that and much more. “The Buckley Steel Board Fence is the best product we have installed for horse fencing – very user friendly, easy to install, well-designed gates - an all around great product. Our customer loves it. We will definitely do more,” said Brian LeQuesne of B&M Fencing in Wisconsin, www.bmfencecompany.com. Innovation and design are truly what define Jim Buckley, owner and President of Buckley Fence, LLC. Prior to entering the horse fencing business, Jim was the head of research and development at a leading brake manufacturing company. After 25 years and achieving over $1 billion in sales for the company with over 30 patents and even more new product offerings, Jim decided to form his own company, Chipless Metals. He invented an aluminum parts forming technology that was awarded U.S. and international patents. While pursuing options to employ the technology, Jim was offered the opportunity to design aluminum connectors for steel pipe fences. The Alumashield Fence with its patented design evolved from that opportunity and Buckley Fence was formed. It soon became evident to Jim the horse fencing industry was lacking a traditional post and rail fence strong enough to safely contain horses and free of traditional maintenance needs. Buckley Fence launched the Steel Board Fence in 2008 to fill that void. Today, Buckley Fence has installations throughout the U.S. with many highly satisfied customers. 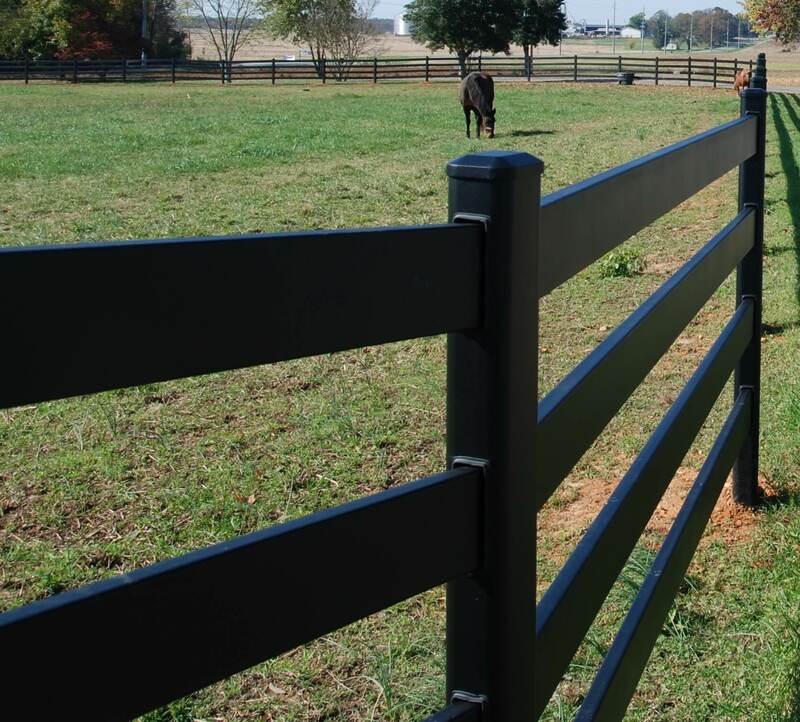 If you’re a fence seller or installer, a barn builder or equine architect, or any other provider of equine products and services, and want a truly one-of-a-kind, outstanding fencing option to offer your customers, consider becoming a Buckley Fence dealer. Our products are top of the line in quality, durability and ease of installation. Our customer service is impressive. Our pricing is designed so that everyone wins. Visit our website at www.BuckleyFence.com. Email sales@buckleyfence.com or call our toll free number 877-306-4024 to learn more about the new standard in horse fencing!